The Tigers enter the postseason playing well with four straight wins and haven’t lost a conference game since the second game of the season. 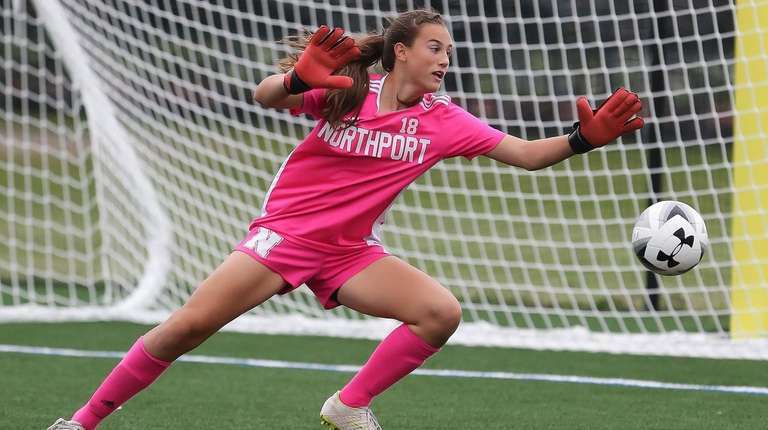 Led by a strong defense, highlighted by three-year starter Izzy Yeomans, Bailey Piper in goal and Olivia Carner with 10 goals and six assists, Northport looks to win its third straight Suffolk AA title. They enter the playoffs as the No. 3 seed, following an 11-1-2 record Suffolk I season. The Flaming Arrows didn’t think much about their No. 7 ranking when the season began. 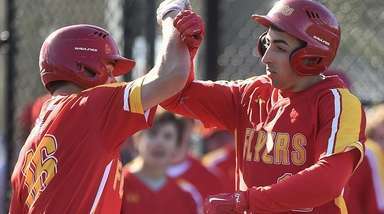 In Suffolk’s new power ranking system this season to generate the schedule and “power points” resulting in the standings and postseason seeding, Sachem East finished with an 11-1-2 record, 167.680 points and the top seed in the postseason. With speed and timely scoring of Abby Carroll (nine goals, three assists), Emily Montalbano in net and strong backline, including defenders Skylar Papele and BillieGean Hennessy, the Flaming Arrows look to keep their roll going into a deep postseason run. Sachem East handed Northport its lone Suffolk I loss and won’t be an easy matchup for any team. After a 14-win season and losing to eventual Suffolk AA champion Northport in the semifinals last year, the Thunderbirds haven’t fallen off this season, entering the playoffs as the No. 2 seed following an 11-1-2 season, with the lone loss coming to Northport. Led by eight goals and four assist by Jessica Garziano, a senior midfielder committed to St. John’s, Hills East looks poised for a deep playoff run. Garziano has the ability to dribble through defenders, set up teammates with long passes and finish goals herself, and will be one of the most dangerous players in the postseason. A strong team in all facets of the game, with Emily Leverich up top with blazing speed and six goals and six assists, Jill Meaney and Jillian Unkenholz at midfield and Gabrianna Lorefice in net, the Bulls enter the playoffs as the No. 4 seed with a 10-1-3 Suffolk AA record. Smithtown West plays a fast, physical game that will generate matchup problems throughout the postseason. Yes, the Cougars have taken advantage of a softer schedule, entering the season ranked No. 21 of 27 Suffolk AA teams voted on by the Suffolk County Coaches Association. But they’ve taken advantage to show their talent against higher ranked competition as well, with victories over top-15 ranked Sachem North, Smithtown East, Huntington, and had Sachem East tied with four minutes remaining in the game. Centereach enters the playoffs as the No. 6 seed, after a 12-1-1 record in Suffolk I, led by 13 goals and five assist from Nicole Fabris and a defense entering the playoffs with six-straight shutouts. No. 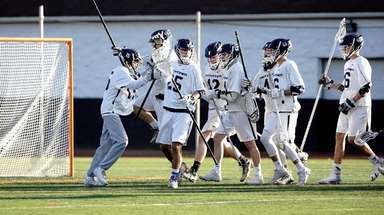 5 West Islip’s lone loss came to Northport, and has played each of the top four seeds entering the playoffs, tying Sachem East, Hills East and Smithtown West. With nine goals and two assists by Jaden Hampel, the Lions look to turn regular-seson ties into victories for an extended postseason run after a 8-1-5 Suffolk I season. No. 7 Commack entered the season as the second-ranked team and has played one of the toughest schedules in Suffolk I. 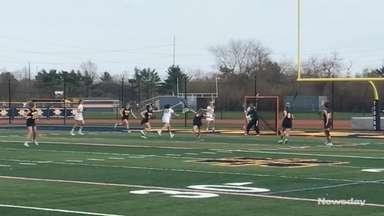 Entering the playoffs following a 7-3-4 Suffolk I season, Commack won its final two games by a combined 7-0 and features one of the top players in the county in Katie Kelly, who had 12 goals and six assists this season. Jordyn Levy, of No. 6 Half Hollow Hills West, leads Suffolk with 33 points (19 goals, 14 assists), and can take over a game by herself. Any team playing Hills West will need to know where she is at all times, as her ability to score and create for others can lead the Colts on a deep postseason run after an 11-3 season. Similarly to Levy, Samantha Hogan, of No. 3 Kings Park, is another player opposing teams must have a mark on throughout the game. With 12 goals and nine assists this season, Hogan could lead Kings Park to a long stay in the postseason. Levy and Hogan squaring off in the first round should make for a great game. No. 5 West Babylon’s duo of Jazzmin Terrell (nine goals, nine assists) and Erin Thompson (eight goals, eight assists) with Alyssa Apuzzo in net, won’t be easily intimidated by any teams this postseason, with four of its five losses coming by only one goal. The defending Suffolk A champions entered this season as the second-ranked team in Suffolk II, and will be the No. 4 seed after a 8-4-2 record. 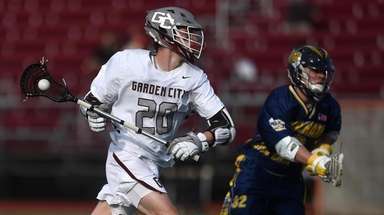 Led by Nicky Constant, who has nine goals and nine assists, the Wildcats look to avenge some late regular-season losses on the road to their second-straight Suffolk A title. After reaching the Suffolk AA championship game last season, the Sharks dropped to Class A due to enrollment numbers, but they haven’t had any difficulty adjusting to playing new teams. Eastport-South Manor enters the playoffs as the top seed after an 11-0-3 Suffolk II season. Led by 10 goals and seven assists from Gia Inzerillo, who played an integral part to the team’s run to the county title game last year, and Carly Travers in net, Eastport-South Manor looks to take its season at least one game further than last fall. 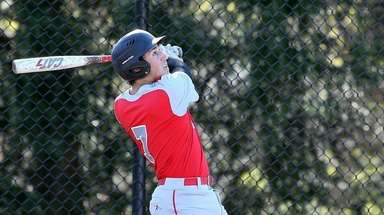 Another consistent presence toward the top of Suffolk A, Islip enters the playoffs as the No. 2 seed after a 10-2-2 Suffolk II season. After losing in penalty kicks in last season’s Suffolk A title, the Buccaneers returned Dominique Bono, who has 15 goals and four assists this fall. Islip opened its season with 10 straight wins, and looks to returning to its early-season ways in the playoffs. No. 1 Babylon, the two-time defending Suffolk B champions, looks to win its third straight title, led by eight goals and five assists from Sophie Ryan, after an 8-6 Suffolk II season. Center Moriches, with Allison Carpenter in net, will be the No. 4 seed after a 4-9-1 league record and the combined program of Mattituck/Southold/Greenport (No. 2 seed, 7-7 record) has star power in Claire Gatz and Jill Golden. Greenport, which combined with Southold advanced to the state Class C semifinals last season, combined with Mattituck and moved up to Class B this season, coached by Chris Golden, Jill’s father. Suffolk B: Saturday October 27, at Center Moriches High School, 4:30 p.m.
Suffolk A: Tuesday October 30, at Hauppauge High School, 5 p.m.
Suffolk AA: Tuesday October 30, at Hauppauge High School, 7:30 p.m.